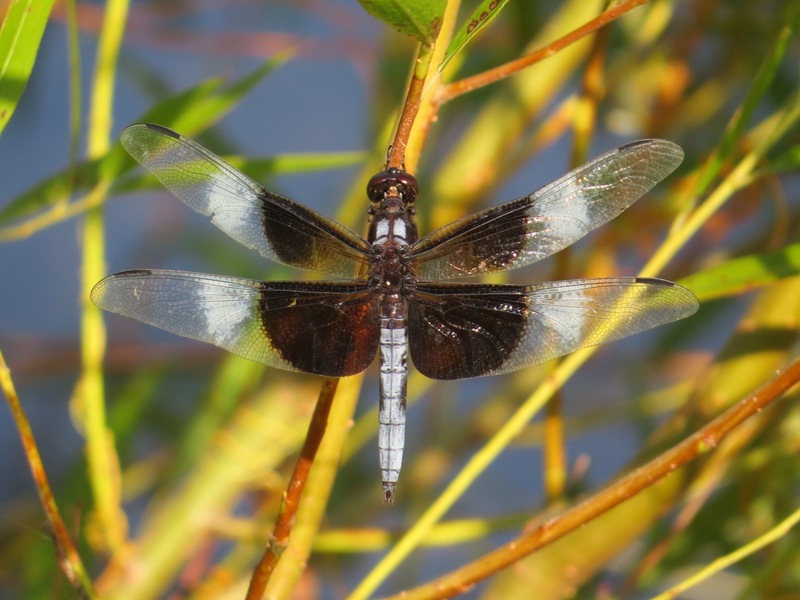 The Black Saddlebags (Tramea lacerata) is a dragonfly rarely seen perched. But sometimes you get lucky. 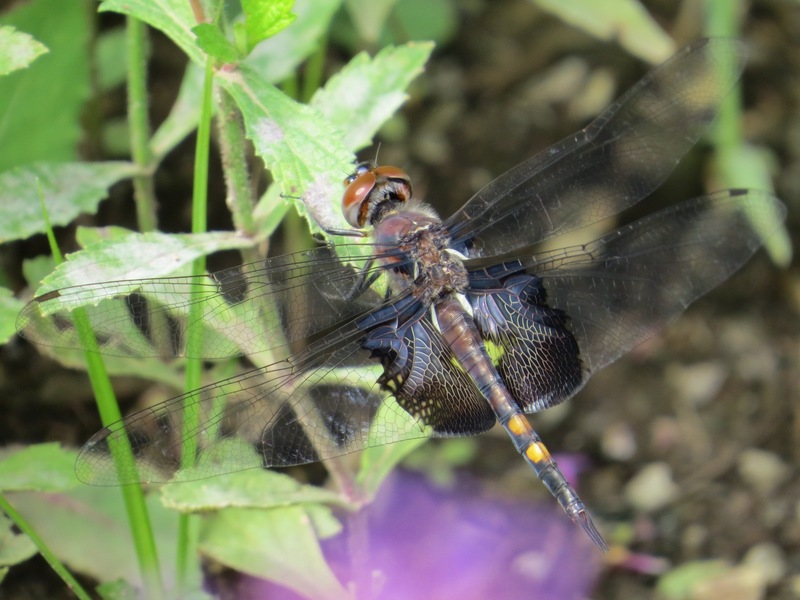 The “saddlebags” = the dark coloration of the hind wings. This could be an immature male or a female. The yellow spots on the abdomen are the ambiguous tell: a mature male won’t have these. A closer look to examine the venation. There’s also a Carolina Saddlebags (T. carolina) in our parts, but it is seen with less frequency. On the Carolina, the saddlebags are red. 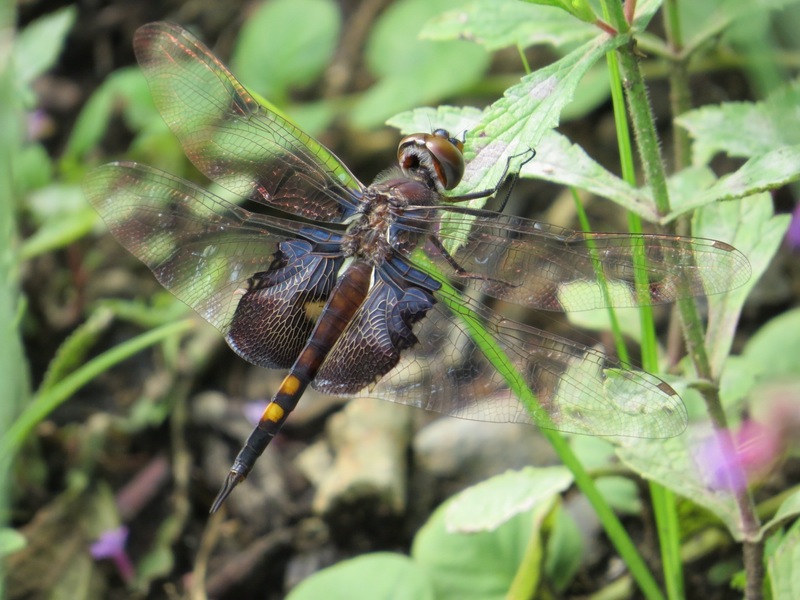 The Black Saddlebags is one of the migratory species being tracked by the Migratory Dragonfly Partnership. 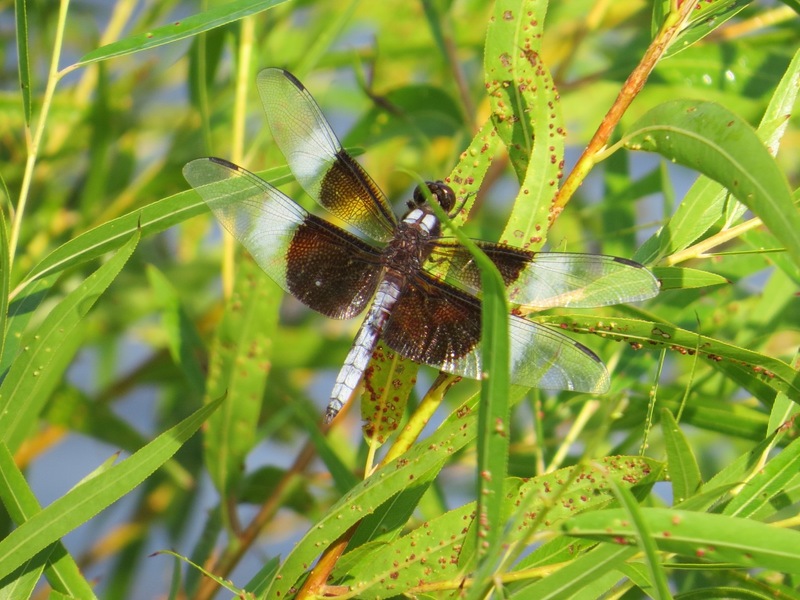 This is a Widow Skimmer (Libellula luctuosa) male. I just saw my first this summer in Westchester Co., but could not get a photo of the very busy fliers then. A few days later, in Virginia, I was able to photograph a couple. The clear/white/brown (it looks black in flight) patterning makes this one of the most distinctive of all our dragonflies. Even without a getting picture, or even a long view, I could take a mental description to the references and add it to my list (as I did recently with a pair of Halloween Pennants flying in tandem). 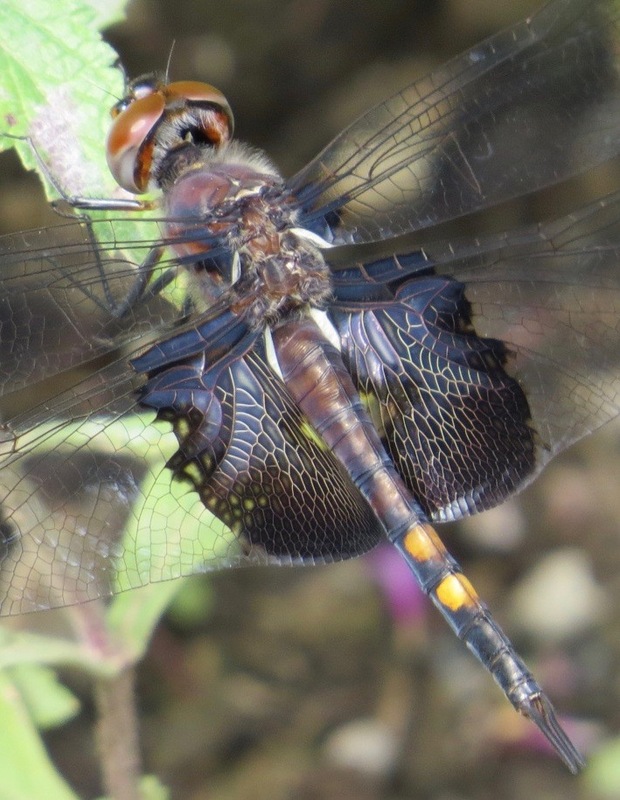 The females lack the white bands, so she could potentially be confused with the Saddlebags even though she has the bases of all four of her wings stained brown.